It is Ultra Local Dimming applies different contrast improvements on different regions of the panel simultaneously. This offers better contrast performance in both detail areas and across the ULED panel as a whole. A ULED TVs deliver over a billion colours for a more natural viewing experience in stunning 10bit. With all new Hi-View Engine, ULED TVs achieve 100% colour gamut measured to BT.709 standard. This means when receiving even standard signals, ULED TVs can still display true to life picture with authentic and vivid colours. Get the best out of your 4K Gaming Console with Games Mode. Games Mode allows the TV to display the gaming console at full speed directly to the TV, bypassing upscaling and other picture enhancements that 4K HDR consoles do not need to operate. 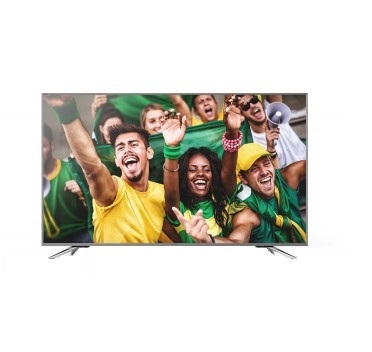 The Hisense 65P7 65inch UHD ULED LCD TV was added to the Televisions category in May 2018. The lowest price GetPrice has found for the Hisense 65P7 65inch UHD ULED LCD TV in Australia is $1,295.00 from R.T.Edwards QLD. Other merchants who stock it are R.T.Edwards QLD, Bing Lee, Billy Guyatts, Video Pro, think of us, Appliances Online, ozappliances.com.au.